We just need a few specific details..
Litres of delivered to . Please note, by selecting 'Proceed with Quote', you will be directed to our myEmo site to complete your transaction. You can log in if already registered or register an existing / new account. If you need to generate a new quote, or adjust your previous quote, just click the button below. Ordering your home heating oil has never been easier. Call us or order online and we’ll deliver direct to your doorstep – in double quick time! 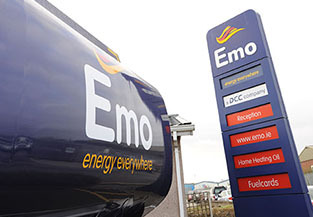 Emo Oil Ltd is part of DCC Energy which is the leading home heating oil supplier in Ireland and the UK. Kerosene or Gas Oil? How to tell the type of heating oil you need? Just a word of thanks to Ollie...my oil had run out...he delivered in no time & was so friendly & helpful above & beyond....thank you very much Ollie! 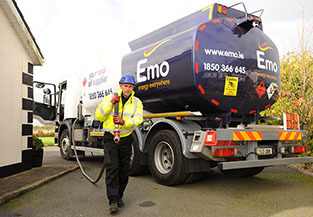 At Emo Oil, we believe in giving you a market leading service, including a transparent heating oil pricing policy and quality of service assurance.